BOTOX® Cosmetic The most popular nonsurgical cosmetic treatment in the United States is BOTOX® Cosmetic. But did you know that BOTOX® Cosmetic can also be used in conjunction with cosmetic dentistry to accentuate your perfected smile? What’s more, BOTOX® Cosmetic has proven therapeutic uses and can be utilized by one of our dentists to treat muscle spasms, involuntary teeth clenching, and other symptoms of TMJ. It may seem odd to seek BOTOX® Cosmetic injections from a dentist. However, who better than a dentist, someone with a keen understanding of facial structures, to provide you with this service? Dr. Mathews focuses on providing our patients with beautiful, seamless smiles. By natural extension, he is also interested in helping patients look and feel wonderful about the area around their mouth. When you combine BOTOX® Cosmetic with your dental work, you can achieve a younger, more appealing look that helps renew self-confidence and restore feelings of appeal. 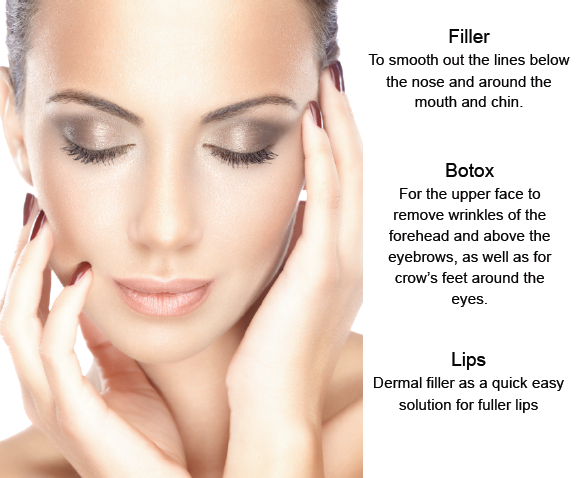 BOTOX® Cosmetic is a safe and effective way to temporarily reduce wrinkles. The average BOTOX® Cosmetic injection will provide up to four months of results. For patients looking for longer lasting results, Dr. Mathews can discuss your options for other injectable fillers. We are dedicated to helping you look and feel your very best. Offering nonsurgical cosmetic procedures further allows us to provide a one-stop-shop for all of your facial cosmetic needs. Juvéderm, an injectable filler (injectable facial filler), is used by cosmetic, dermatological plastic surgeons, and dentists to soften deep folds and reduce wrinkles in the faces of patients. The substance is largely hyaluronic acid, a substance normally found in the skin, muscles, and tendons of mammals. Approved in June 2006 by the U.S. Food and Drug Administration, Juvéderm’s prime use is removing nasolabial folds, or “smile lines,” creases of skin which run from the corners of the nose to the corners of the mouth. It is also used as a lip augmentation agent, and to fill in hollow places and scars on the face. However, all hyaluronic acid facial filler products are eventually absorbed by the body, usually within six to nine months, causing the patient to undergo repeat injections to maintain the younger look. Juvéderm is also used by physicians to plump lips, which also lose fat and internal shape with normal aging. There may be some discomfort during and after the injection. 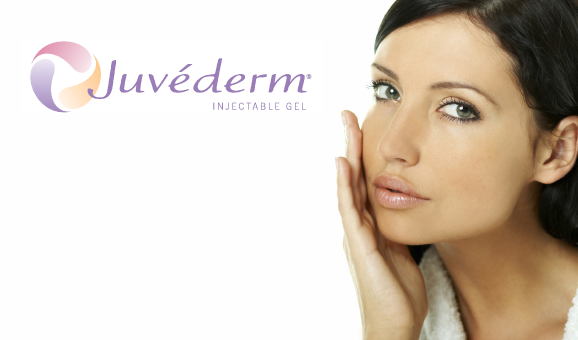 Juvederm is injected directly into the skin with a fine needle. Some Juvederm products contain the local anesthetic lidocaine to help lessen discomfort during injection, or the physician may choose to numb the site prior to injection. You should discuss these options with your physician prior to the procedure. ​ Correction with Juvederm is temporary. Re-injections may be needed, typically between 9 months and one year after the initial injection. Smaller injections (about half the amount) are needed for repeat procedures.